The NYSoundmap the Conflux Festival in Brooklyn, NY, including a new project AudioBusB61. Starts at 4PM in the gallery with live bus riding immediately following. SURGE including the NYSoundmap featured in the Observatori Festival in Valencia, Spain. A public presentation of the NYSoundmap in conjunction with SURGE will take place at Participant, Inc. in New York from 6-9PM. This project launched on SURGE, an exhibit of web-based media art curated by RHIZOME and FREE103POINT9. Maps are tools for understanding the world from different points of view - political, cultural, personal, and historical. Maps hold the power to shape the truth about the world and mapmakers shape the future. The NYSoundmap is a container - a concept or idea to hold many types of processes and projects. The project reaches across the city's geographic, economic, educational, cultural and racial divides. It is at once a historical record and a subjective representation of the city. It is what each user wishes it to be and it is ever growing, ever changing and totally interactive. The New York Society for Acoustic Ecology (NYSAE) is a membership organization dedicated to exploring the role of sound in natural habitats and human societies, and promoting public dialog concerning the identification, preservation, and restoration of natural and cultural sound environments. What kinds of sounds can you find in New York City? 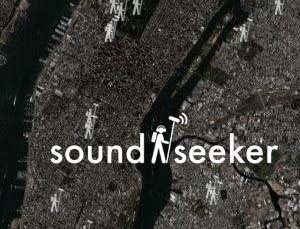 With sound-seeker, you can zoom, pan and search for sounds with interactive satellite photos or detailed maps. Click on hot spots to listen to the recorded sounds of a location pin-pointed by gps. Sound-seeker was created using GoogleMaps and isn't viewable in all browsers. We suggest you use Mac Firefox or Windows Netscape or Explorer. Composer Michelle Nagai leads you through various soundwalks in the city. Through a practice of focused listening, move through an environment with complete attention to sound. Any environment, at any time of day or night, can become a soundwalk. 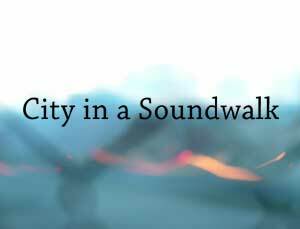 Anyone, anywhere, can make a soundwalk. What did New York City sound like 30 years ago? Artist Andrea Callard lets you hear city sounds she recorded in the 1970's. 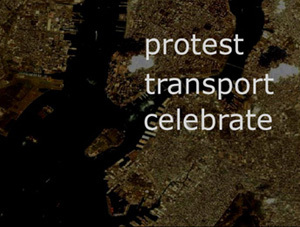 Listen to chorus of truck horns as hundreds of striking truck drivers came out of the Holland Tunnel and over the Manhattan Bridge into Brooklyn on July 1, 1979 and the sounds of the downtown churches ringing their bells to celebrate the first 200 years of the U.S.A. on July 4, 1976. Requires the shockwave plug-in. 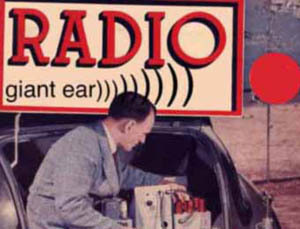 The last Sunday of every month, NYSAE hosts a webcast radio show called Giant Ear))) from 7-9 PM at Free103point9. Shows feature a wide range of recordings including: Transcedental Sounds: Bells, drones, glossolalia and other otherworldliness of the everyday, Get Yer Cans On! A Headphonic Trip Around the World, recordings of the RNC Protests in 2004 and What does freedom sound like to you? interviews with brokers at the NY Stock Exchange. AudioBus B61 is a mapping experiment that considers the audible landscape of the B61 bus route through neighborhood sounds in Brooklyn and Queens. Field recordings, readings, conversations, and performances expressive of the many soundscapes along this line of public transportation are welcome. Andrea Callard conceived of and initiated AudioBus B61 in collaboration with Fred Krughoff.